Lately, some new skin products have come into my life that have been rocking my world. I've sort of overhauled my skincare routine for summer and I'm totally loving the results. I try to switch up my skin products from time to time, just like I never use the same shampoo twice in a row- because if your skin or hair gets too 'used' to a product, it stops being as beneficial. These products are all fairly new to me but I've already repurchased some of them. This is a fairly new launch that comes as part of the drugstore giants revamped line of cleansers, and I'm so impressed. I'm already on my third bottle! For years now, I've used cleansing wipes to take the day's make-up off, followed with toner. This product has completely replaced both of those for me. It's an absolute magnet for make up residue, and even the most stubborn products just slide off without loads of scrubbing. 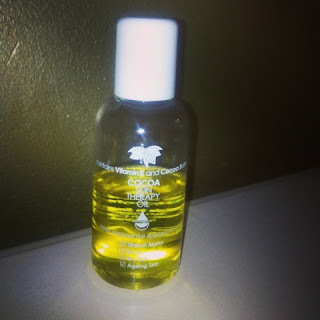 It's hassle free and leaves my face soft, clean and glowing in one sweep. I use a facewash after (still NSpa Hot Cloth Polish, no change there!) and usually there would still be a lot of make-up coming off on the cloth, but with Skin Perfection there's no leftover residue. I love it and its totally replaced my old cleanser and toner combo. At £7.99, it won't break the bank but performs like a far more pricey product. 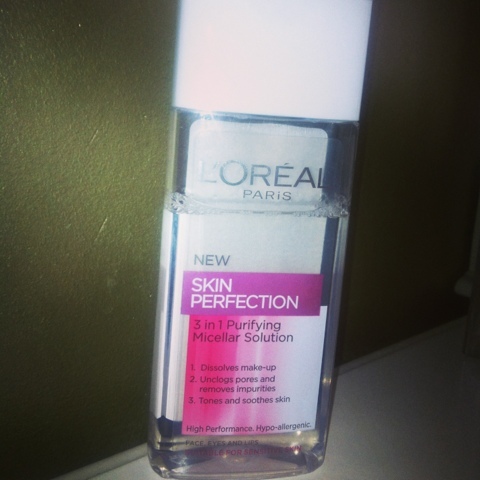 Currently on a 2 for £6 offer at Superdrug, get in! 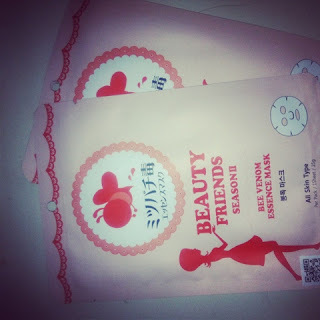 I've mentioned before how I'm a big fan of these Korean paper face masks that come infused with a skin-boosting solution, even if they do make you look like a burns victim when you wear them! I bulk order them via eBay and will usually put one on in my Sunday night gearing-up-for-the-week bath. I've always used the Collagen ones and really liked them, but as everyone from Millie Mackintosh (my skin icon) to the Duchess of Cambridge is reported to be using bee venom facial products, I thought I'd give them a go. This has sorted my fine lines out a treat! This little winner is a totally amazing budget buy, and it all came about by accident. Generally, I buy all my drugstore products in Boots. I like their range, I'm fanatical about collecting their points. I haven't been into their major rival, Superdrug for years. But maybe that's all about to change, because I happened to pop in there a few weeks back and was really impressed with what they stocked and how good their deals were. In addition, I threw this £4.99 serum into my basket, not exporting much, and have been really pleasantly surprised. It packs a peptide-powered punch, and I've been using it day and night -at this price, there's no need to feel guilty about slathering it on- and I think it's made a real difference to my fine lines. I'm really impressed with this skincare line! I was a bit hesitant about including this product, because although I love it, I've since discovered the line has been discontinued. Sad face! No wonder it was going for £6.99 instead of the usual £15.99. Should have bought the whole shelf! I will admit it was the packaging that initially drew my attention. It looks similar to the Urban Decay Naked palette so I thought it might be from them, but it's not. It's a line developed by dermatologist Dr Darren Mckeown. From the interviews I can find on the web, he seems to be really involved with the line rather than just lending his name and has even contacted beauty bloggers writing about the line personally to address their concerns. This moisturiser is really light and smoothing and I'm so enjoying using it with its neat pump action bottle, it's a shame that when it runs out I'll have to find a replacement. Although the range promises sun protection and anti-aging skin goodies, the packaging, although very pretty, doesn't specify what exactly these are. 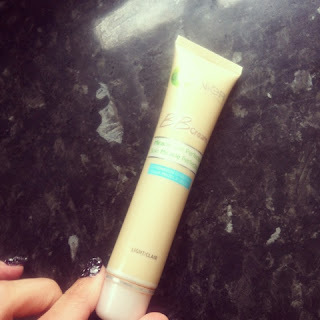 A really light, lovely product that's nourishing but not too heavy for summer skin. 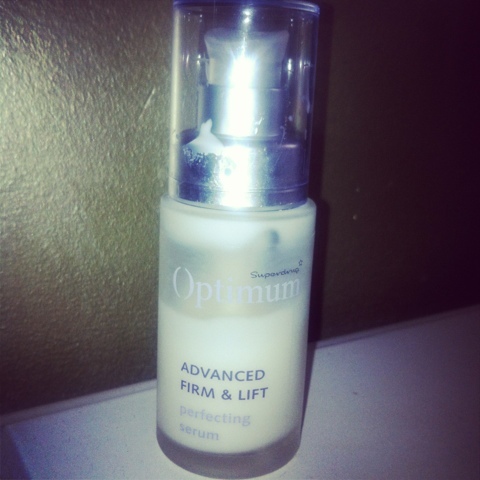 This has been the secret weapon giving me a glow lately! You wouldn't neccessarily think of an oil as a replacement for night cream, especially when your skin tends to be a bit oily itself in the summer. However, using this absolutely doesn't make your skin greasy. It's very light and extremely hydrating. A dab massaged into the skin just before bed has wiped out the persistent fine lines on my forehead. I first bought this to deal with some skin damage on my legs and then started using the leftover residue on my face and hands at night. Once I saw the effects, it became an obsession. This smells of chocolate as well! You look a bit shiny straight after applying, but in the morning it's melted in leaving nourished, gorgeous skin. This is definitely my new little secret! So, my skin is a little more towards the oily side in summer, but not so much it's a problem. I've been using the regular Garnier BB Cream for a while so I tried this new variant for a change. It's so different to the regular version that its almost misleading to call it the same product! The formula is a lot runnier and a lot more opaque- it genuinely passes as a proper foundation and gives a much higher coverage that lasts all day. I don't need to add anything, whereas with the regular variant I need foundation and powder as well. It's more of an all in one solution. If you're switching from the regular one, its also worth noting that the shades play out quite differently. Despite having a golden skintone, the 'medium' shade in the regular cream is way too dark on me, so I always use the 'light' variant. But in the oily version, 'light' really means just that and I can barely get away with it, so bare that in mind if you're switching over. This oily line is a much superior product and much more of a full-service product that can replace your foundation, unlike the original which is more like a tinted moisturiser. Mineral pigments and ultra-absorbent perlite give a flawless, lasting finish, it had SPF 20 and 'blurs the appearance of imperfections'.